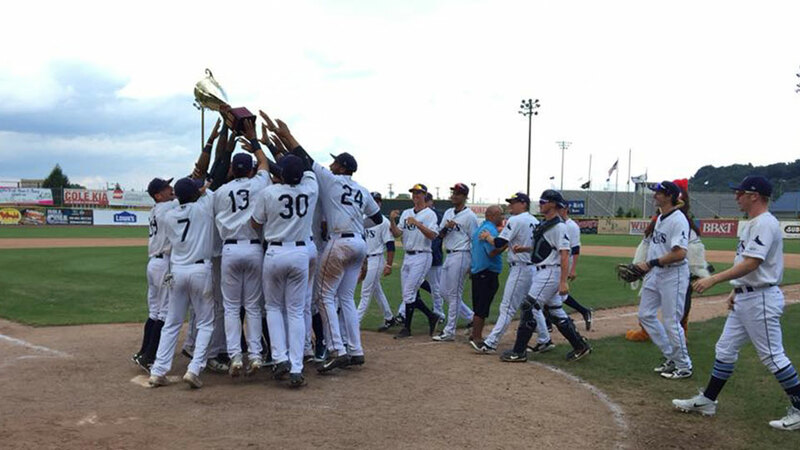 PRINCETON, W. Va. - After sweeping a pseudo-doubleheader against the Bluefield Blue Jays Sunday afternoon, the Princeton Rays claimed the 2018 Mercer Cup in the annual competition between the in-state rivals separated by just 12 miles. Princeton's 6-5 victory in the completion of a suspended game Sunday earned the Rays the championship, their ninth Mercer Cup title in the last 14 seasons. After winning the afternoon's regularly-scheduled contest 8-5, the Rays hold a 7-2 advantage in the season series with two games remaining. Princeton (25-13) currently holds a three-game lead over the Blue Jays (23-17) atop the Appalachian League East. "Being the only two Minor League teams that play in the same county less than 15 miles apart, we have a great rivalry within both our teams and fan bases," said Princeton General Manager Danny Shingleton. "It is exciting to bring the Mercer Cup back to Princeton." Despite the Rays' victory in the 2018 series, Bluefield leads the Mercer Cup rivalry with an overall record of 14-12-1. The series began in 1992 between the Princeton Reds and Bluefield Orioles.